Nothing screams "dapper" better than grey shades. 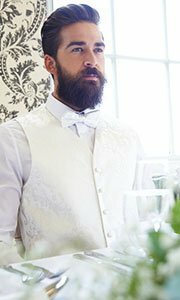 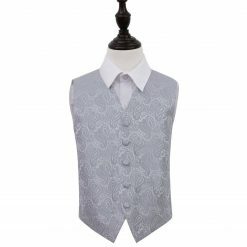 Choose a more wedding-appropriate shade by opting for silver waistcoats, which can be layered with other grey family colours for that smart, masculine monochromatic feel. This shade blends well with a soft colour motif, too, since it provides a surprisingly cool contrast with those hues. 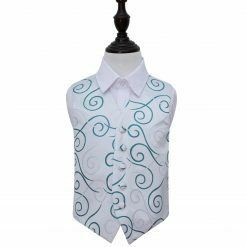 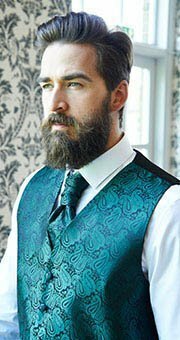 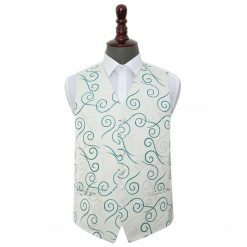 Or, dress like a royal by using silver waistcoats for elegant accents, such as emerald green ties or burgundy pocket squares. 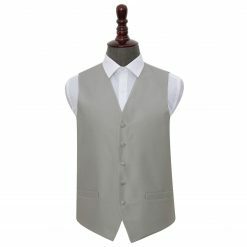 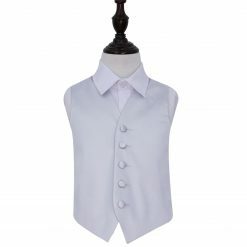 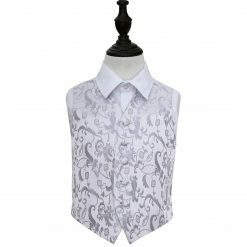 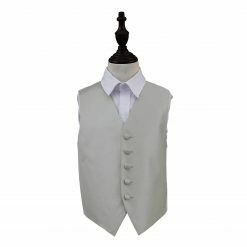 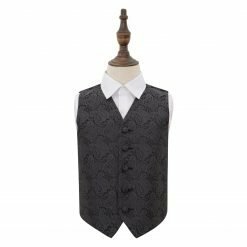 Silver waistcoats have a strong shade, but not overpowering. 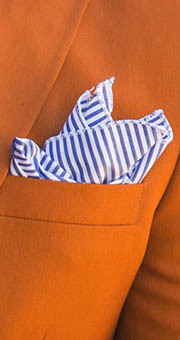 It provides that much needed balance and break when pairing similar colours together.